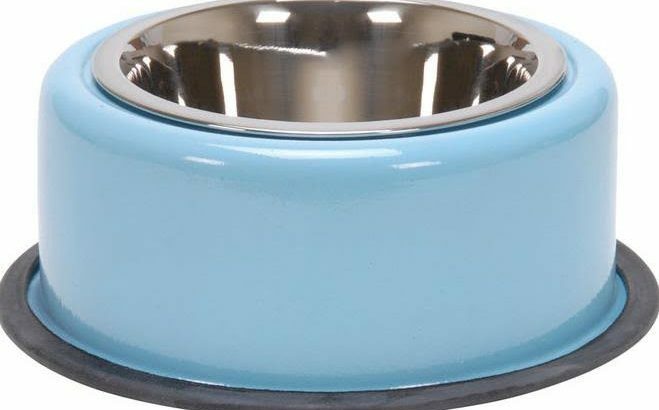 The weighted dog bowls sometimes can’t help your furry friend to eat nicely. Yap! It sometimes can’t be flipped over so you won’t see less spill, but a dog is a dog! This pet is smart beyond what we expect. Especially if your pet is a greedy eater. There must be some annoying acts that your dog has a tendency to make a mess. By not trying to blame the pet dish, some treatments should be conducted. Here are some tips to help your dog behave nicely especially while eating. Some dogs are very sensitive which they are scared of sounds and movements. When the stainless steel weighted dog bowls don’t give you a good help, try to change it with the ceramic. Some dogs have a tendency to chew and bite it which makes the dish slide constantly. Therefore the non-skid bowl will be very helpful. Observe your pup when it never wants to eat using the bowl. The main reason can be from the location. Most dogs don’t like the high-traffic area and they are not comfortable eating with that condition. Besides, some dogs also don’t like the smell of trash cans and boxes. Hence, give it a personal space to let them peacefully. If you live with multiple dogs, separate your pup and let it eat alone. Eating together can make them gulp the food all at once which is not good. You know dogs often make the mealtime as a competition as they are afraid of their food is stolen by the friend. Start off by pouring the chicken broth in the bowl gently. As the dog slurp it up, praise it and wait around 20 minutes and pour more broth in its bowl. If the dog slurps it all, praise it again with cheese in the bowl. This is a positive reinforcement that eating in the bowl is good. This is hard to do at first, but when you do it patiently, your dog will get be accustomed to eating from the bowl. As your dog starts eating out of the bowl, dump it away and let the food available at the next meal time. By this way, you are telling to your friend that eating from the bowl is a must. However, this won’t work for the one who is afraid of the sound of the bowl. The only way to do is changing the bowl into another dish like the muffin tin or cookies sheet. Your only problem is how to behave your furry friend to eat well (not on the floor, but from the dish). It is not always from the bowl. There are many alternatives that are designed as the dog’s dish. Unless your dog has no greedy attitude, then eating without weighted dog bowls is very OK and forgiven. ← What Is The Best Pet Dish Should I have For a Large Dog?